New materials. Lightweight. Transparent. Subtle. Pure lines. 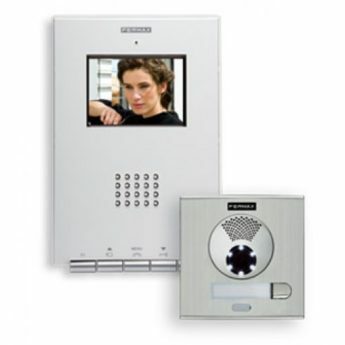 A silhouette suspended on the wall, faintly outlined: iLoft, the most innovative FERMAX video door entry system. Fermax’s proposal for the new digital home, a monitor that fits in with today’s surroundings. iLoft achieves the perfect balance between the functional needs for security and communication between the home and the access to the building, and elegance and integration with the new indoor architecture. Manufactured with new materials where the polycarbonate transparent glass covering the whole surface stands out, iLoft is a video door entry with a 3.5″ colour screen that is totally embedded in the wall.